“What part of San Francisco do you live in?” It’s like the cue for a bad scene that keeps repeating itself. It goes like this: I pause in hesitation, reply “The Marina”, and then watch as the other person looks away awkwardly, and mutters back a lackluster response along the lines of “Oh, cool.” or “That’s nice.” I’ve just been classified as a “Marina person”, and it’s not an easy stereotype to overcome. There’s a stigma associated with the Marina district in San Francisco that conjures up images of fist-pumping frat boys, and girls in yoga pants who have never actually done yoga. It’s known as an entire community of post-college pre-adults with a penchant for blowing money on high-end pizza, margaritas, and Uber cabs. Local blogs focused on San Francisco tend to leave the Marina district out all together, as if it didn’t exist, dismissing it and its inhabitants as vapid and uninteresting. Social media personalities like Marina Girl Says (yup, the area’s very own Gossip Girl) and events like this one only work to perpetuate the stereotype. Having grown up in the city and gone to elementary school in the Marina, I’ve had the interesting opportunity to watch it evolve over the past two decades. Despite the blaring stereotypes, when I moved back to San Francisco in 2009, I chose to live here. I chose it for the same reasons many do – because the neighborhood is safe, rent-controlled, has great running and biking paths, and is an undeniably beautiful place to live. While I can’t deny the fact that the “Marina” persona is alive and well, what I can say is that there is more to the neighborhood than frozen yogurt, cupcakes, the Tipsy Pig, and Delarosa. The neighborhood is home to some of the city’s most beautiful vistas and parks, including Fort Mason, the Marina Green, and Crissy Field. Nestled inside are some hidden gems, places to shop, eat, and take in the views, that even the most “non-Marina” of us can enjoy. 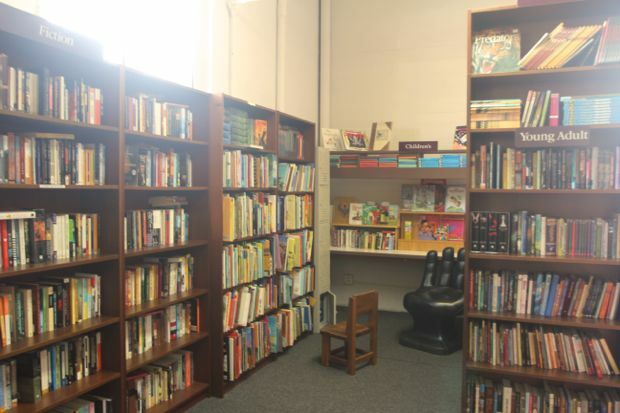 Tucked inside Fort Mason is the Book Bay, which has now re-branded to the ‘Readers Bookstore’. 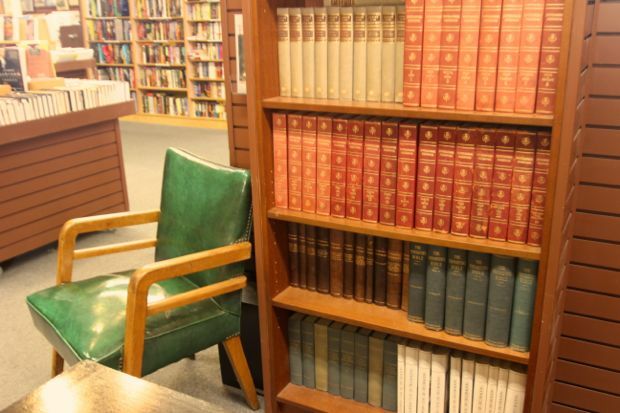 This little bookshop is filled to the brim with both new and used books, the sales of which benefit the San Francisco Public Library system. Their selection is broad, ranging from rare academic texts to the most recent fiction. 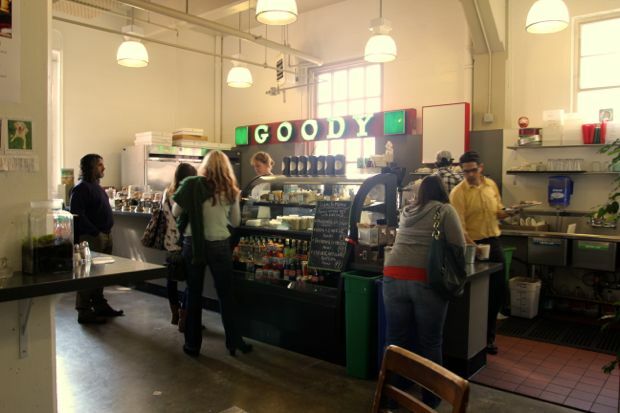 Inside you can curl up on a comfy chair with a pile of books and a cup of Blue Bottle coffee at the shop’s ‘Goody Cafe’. 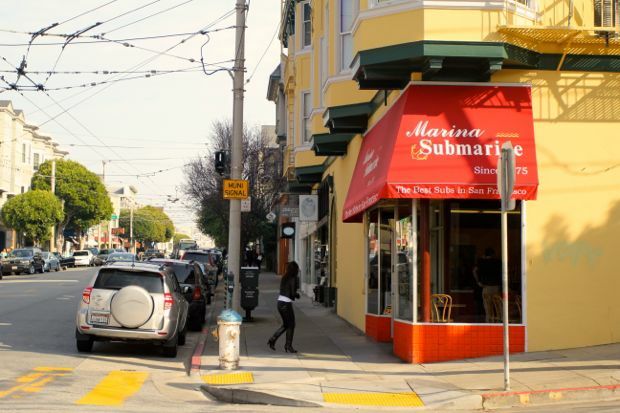 When I was in elementary school, after class let out I used to walk down the block to the corner of Fillmore and Union, and straight into Marina Subs. I’d stand in line patiently, tell Q (the owner and sandwich maker) that I wanted a medium turkey sub with everything on it and “secret sauce”, and then watch his hands take on a life of their own, as they quickly and methodically built the perfect sandwich. Nearly 20 years later, the shop shows signs of aging – chipped paint and faded photographs cover the walls, half of the menu has been whited-out, and the chairs creak like old floor boards – but Q is still standing behind the counter, churning out every sandwich with his own two hands. He’s seen everyone who is local to the area grow up, and will remember you by name. For how much the Marina has changed and evolved over the years, Marina Subs is the one staple that has remained constant. 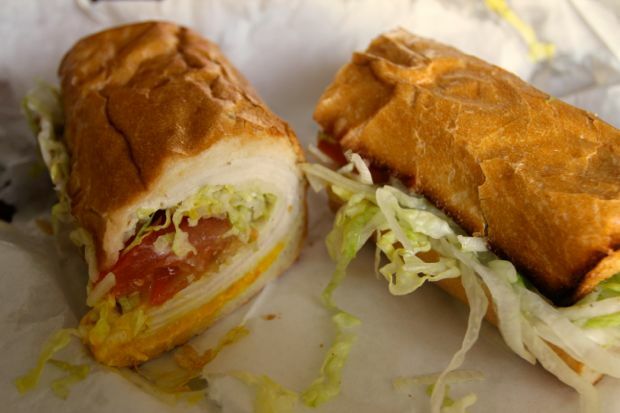 Yes, the wait can be long, but the reward in having the same perfectly toasted and assembled sandwich that has been around for nearly four decades is well worth it. 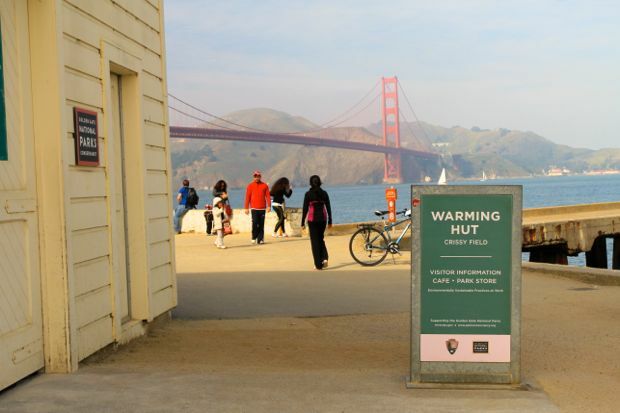 At the very edge of Crissy Field stands the unassuming white building that houses The Warming Hut. Outside is the best view of the Golden Gate Bridge that you can find, as well as a panoramic of the Palace of Fine Arts and the full San Francisco skyline. Inside is a cozy and bustling coffee shop and bookstore that serves a good cup of chai tea, fresh coffee, bagels, soups, sandwiches, and more. 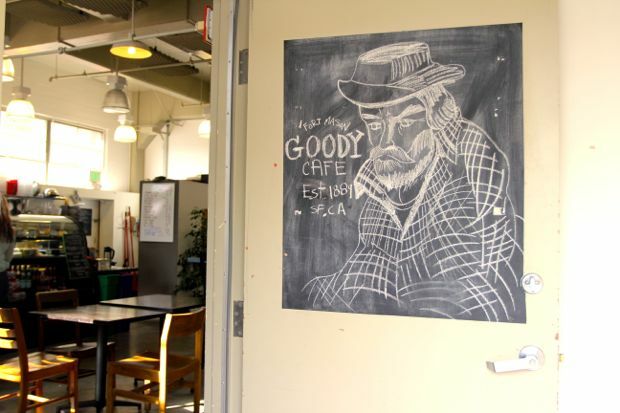 It’s a popular spot for bicyclists to kick up their feet and enjoy a quick meal after crossing the Golden Gate bridge, or for freezing dog walkers to grab a cup of coffee and a moment’s reprieve from the ever-present wind and fog. 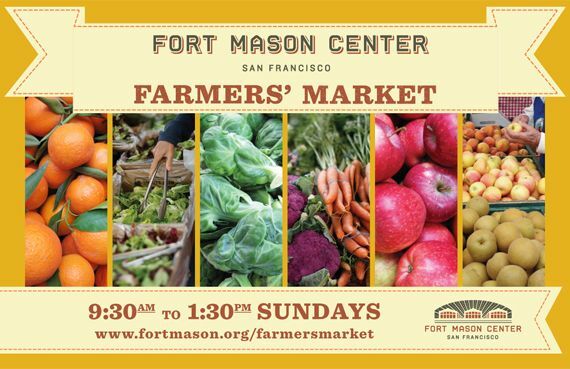 Every Sunday morning from 9:30 to 1:30, Fort Mason hosts a great little farmer’s market. With about 20-30 vendors, it is one of the city’s smaller farmers’ markets, but what it lacks in size, it makes up for in quality. Live acoustic music fills the space, and fresh flowers, fruits, vegetables, bread, cheese, and more abound. What makes the market even more unique are some of its staple “ready-to-eat” vendors, including a German couple who serves up low-fat sausages with homemade sauerkraut and ‘Happy Dumplings’, which offers delicious little pillows of pan-fried goodness. There’s no better place to spend a Sunday morning than at the Farmers’ Market, exploring local produce and taking in sweeping views of the bay. Buchanan St. & Marina Blvd. This entry was posted in Do, Explore, San Francisco and tagged best view, book bay, bookstore, coffee shops, crissy field, do, explore, farmers' market, fort mason, golden gate bridge, goody cafe, marina, marina district, marina green, marina submarine, palace of fine arts, presidio, san francisco, sandwich, skyline, the warming hut, things to do in san francisco. 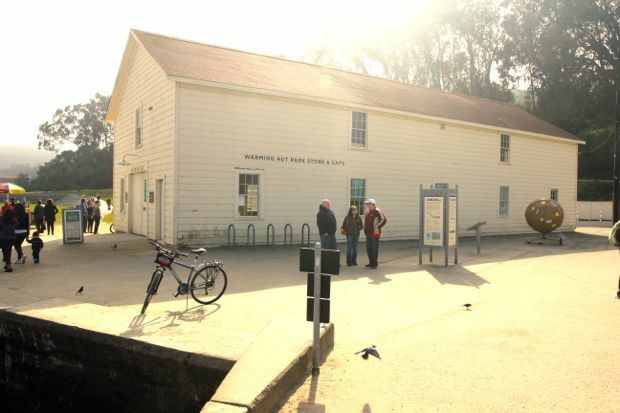 Your article did great in picking out some of the hidden gems that the Marina has to offer the rest of world. Truly enjoyed it! I’ll admit, my first few visits to the Marina – I believed the hype. But now that one of my dear friends lives there, I’ve seen more of its charm and personality. It’s a wonderful spot in the city and if I’d found an apartment there, I would have happily become a resident. Thanks for sharing!